(TORONTO) – As the industry is offering fewer choices for the minivan segment, the 2010 Toyota Sienna minivan offers more for busy Canadian families. The new Limited 7-Passenger FWD model joins the Sienna line-up, making the best-equipped “Limited” model available to Canadian families seeking fuel-efficiency and value without sacrifice on quality, safety, comfort, and convenience. The 2010 Sienna is available in several trim levels, seven- and eight-passenger cabin configurations and a choice of fuel-efficient front-wheel-drive models or the extra confidence of all-wheel-drive models riding on run-flat tires. 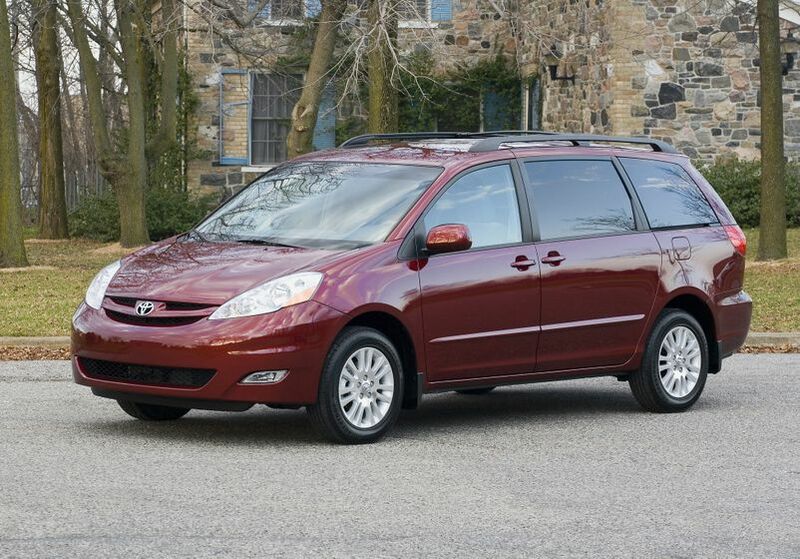 For the 2010 model year, there is a Sienna for every active family. New Limited 7-passenger model features the following: 17-inch alloy wheels, power moonroof, integrated signal lamps, roof-mounted spoiler, automatic headlamp system, leather seats, heated front seats, 10-speaker JBL audio system with 6-disc CD Changer, Rear Intuitive Parking Assist, Anti-theft system, and much more. A full suite of standard safety systems, including: Vehicle Stability Control; Traction Control; Antilock Braking System with Electronic Brake Force Distribution; three-point lap and shoulder belts for all positions; six air bags. Generous standard convenience and comfort equipment, including power door locks, heated mirrors and windows; dual zone climate control; cruise control; a conversation mirror that makes it easy to monitor the back seats; smart in-cabin storage systems such as shopping bag hooks; and more. The 2010 Toyota Sienna minivan is now on sale across Canada, with a manufacturer’s suggested retail price starting at $29,500.